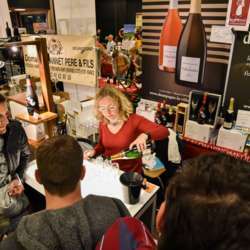 A traditional wine fair, wines from all over the France to taste - in the suburb of Seyssins but easily accessible by tram C. Come with a caddy if you are short of bottles ! Wine tasting classes during the day. Snacks for the always hungry ! You can download a free invitation from the web page, but I will also have some on me ! You can also go (or go back) the weekend - open Saturday and Sunday too :) if you have time do tell us how you liked it later.